Photographs by George P. Landow 2016. You may use these images without prior permission for any scholarly or educational purpose as long as you (1) credit the photographer and (2) link your document to this URL. Click on images to enlarge them. 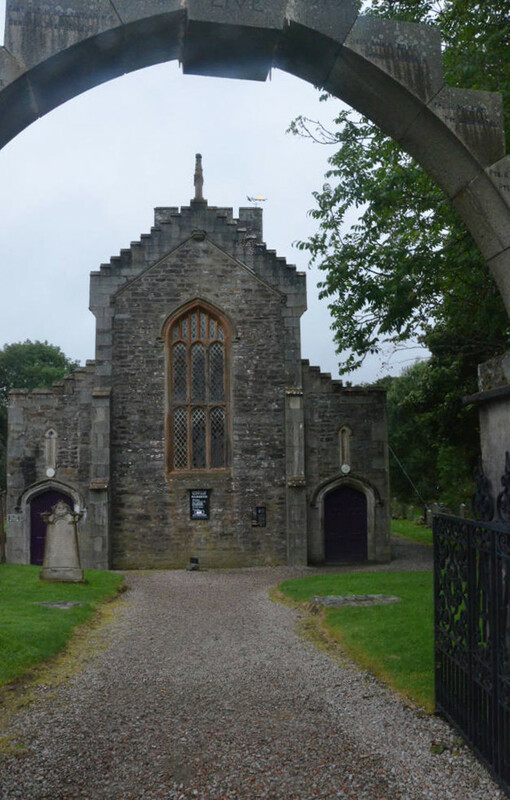 It is known that the 1834-5 church replaced one of 1601 described as "incommodious" in the late 1700s. 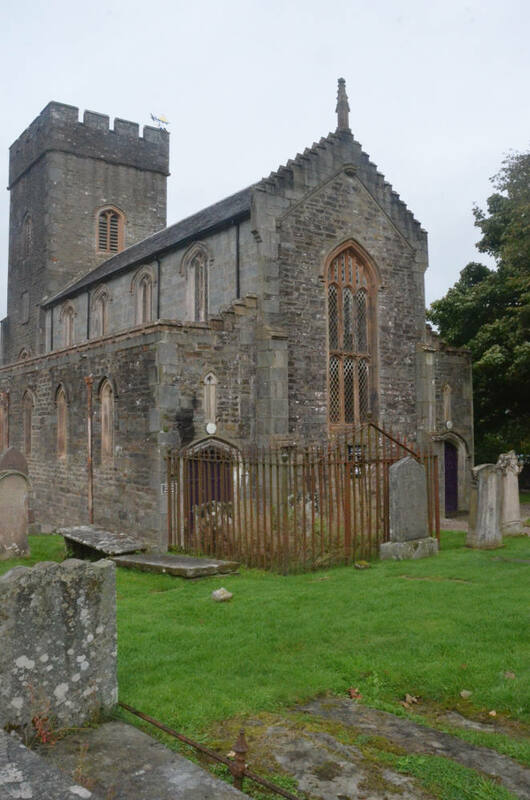 The 1601 church appears to have been a post-Reformation replacement or rebuilding of a medieval church, which would explain the presence of such a fine collection of graveslabs dating back as far as about 1300. 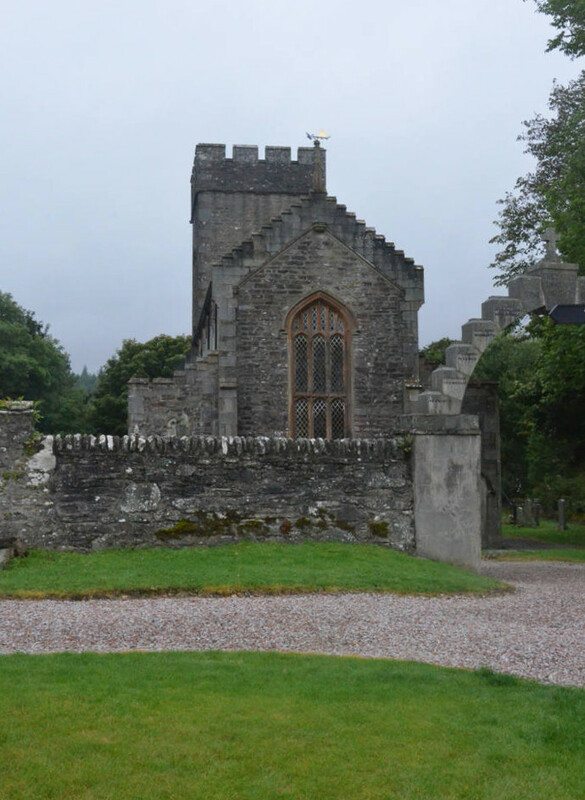 The siting here of a cross dating back a further several centuries suggests that even the medieval church was only a replacement for something earlier on the site and it is entirely possible that there was a series of earlier churches, perhaps moving from wood and turf construction to something more substantial. 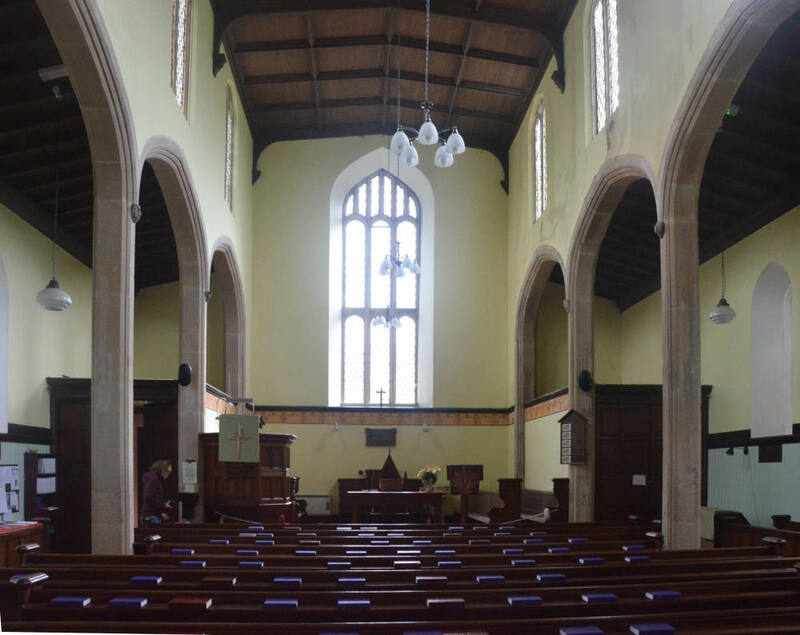 When you look at today's church, bear in mind it is not just a building approaching two hundred years old: rather it may well be just the latest in a long line of churches and chapels on the same site that could have stood on this site for more than a millennium. 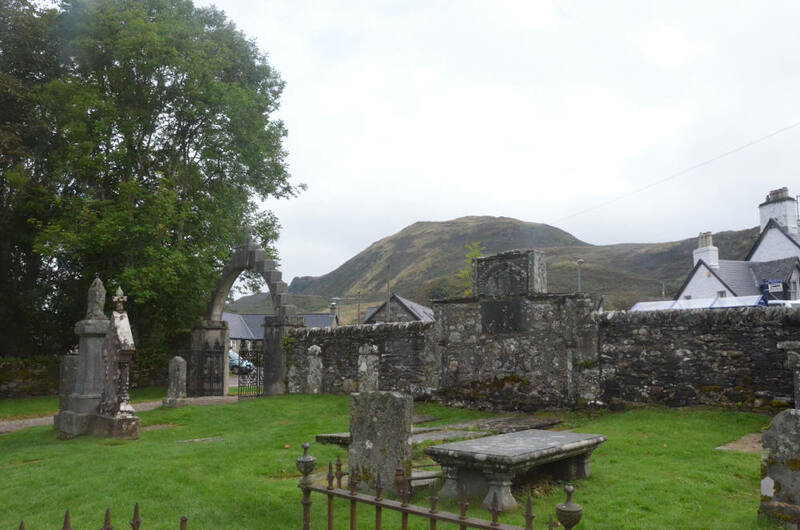 Right: Kilmartin Church seen though the the arched gateway erected in 1921 as a World War I memorial. Left: Interior looking toward the communion table. 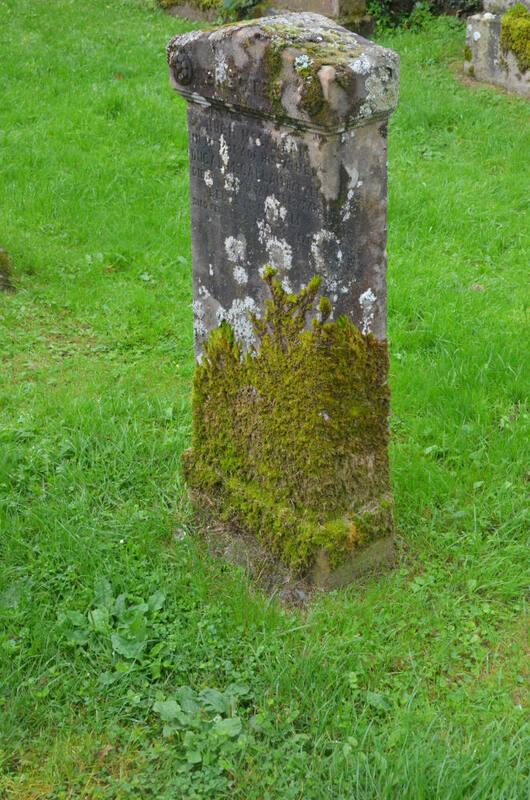 Right: A lichen covered gravestone. 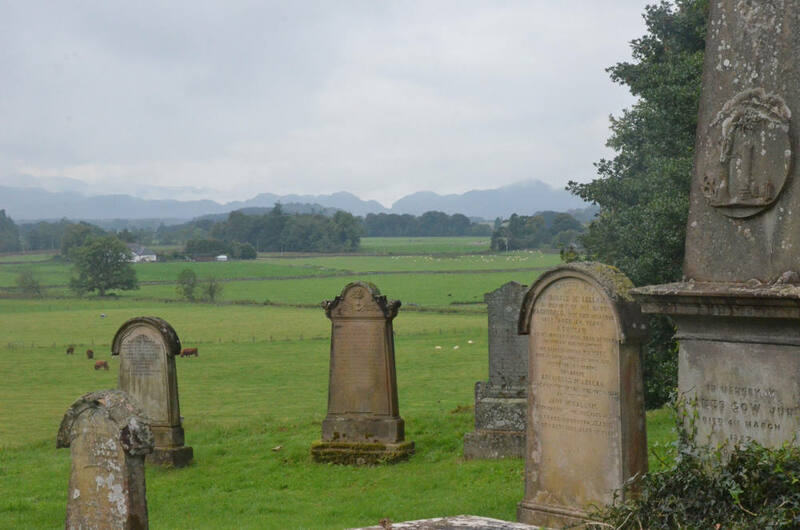 View looking through the old graves to the left of the church in the direction of the standing stones. View from approximately the same position turned 180 degrees. Memorial for Neil Campbell (1736-1799) and James Campbell (d.1799). 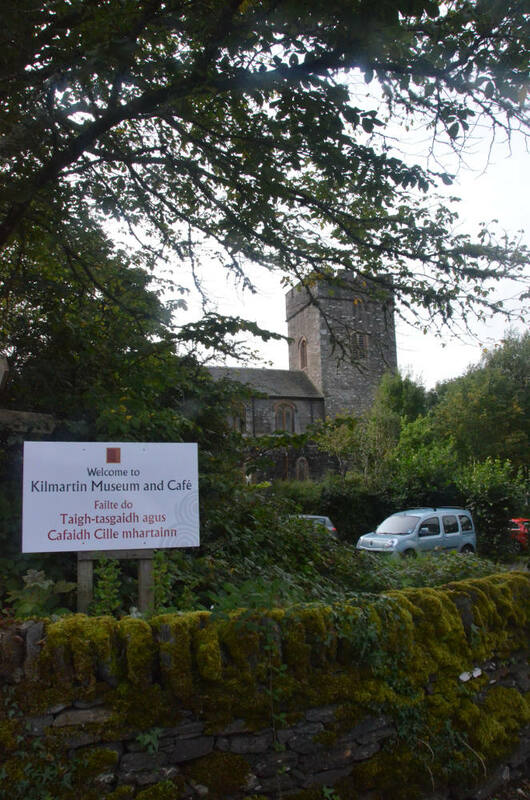 “Kilmartin Church.” Undiscovered Scotland. Web. 12 September 2016.